The emissions generated by your consumption of electricity are highly dependent on how that power is being generated. If you generate your own power, your emissions can range from marginal and thus negligible for solar and wind , to high for generators. In the latter case, you can leave this section and instead revert to the section about fuel engines. The power from the grid can come from an equally very wide range of sources with equally diverging Carbon footprints. As we all know, the power generation in Fiji is highly dependent on rainfall, as when the level of Monasavu drops to critical levels, the FEA has to increasingly resort to producing power from diesel generators. Fiji is aiming to produce 100% renewable energy via more hydro projects, wind farms and solar but until then, the grid will continue to deliver electricity with a highly variable Carbon footprint. These are the emissions of power generation in the USA. 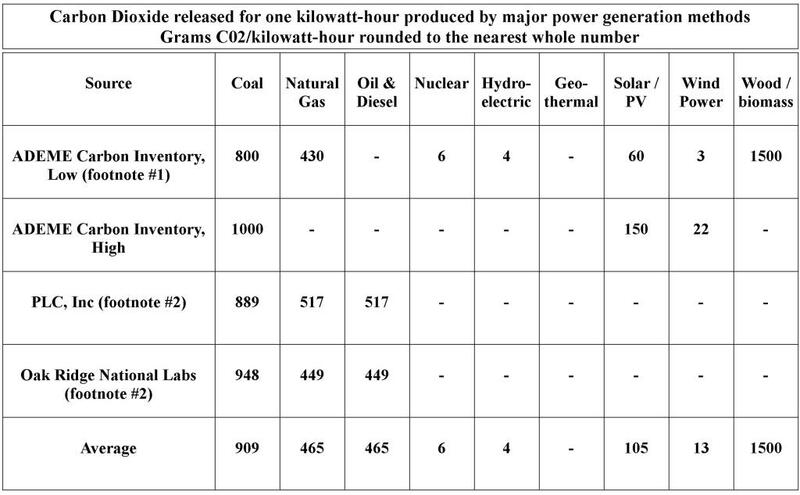 Assuming a conservative mix of 50% diesel and 50% hydro, the result is thus 821/2+4/2 = 412.5 grams = 0.0004125 tons of CO2e per KWh generated in Fiji. This is slightly below the US average of 1.297 pounds or 0.0005883 tCO2e/KWh. To determine the tCO2e of your grid power consumption, multiply your annual KWh by 0.0004125. Note: this is an approximation for Viti Levu that gets power from Monasavu. If you are situated on another island, you may have to increase the “Oil and Diesel” component all the way to 100% i.e. 821 grams = 0.000821 tons of CO2 per KWh.